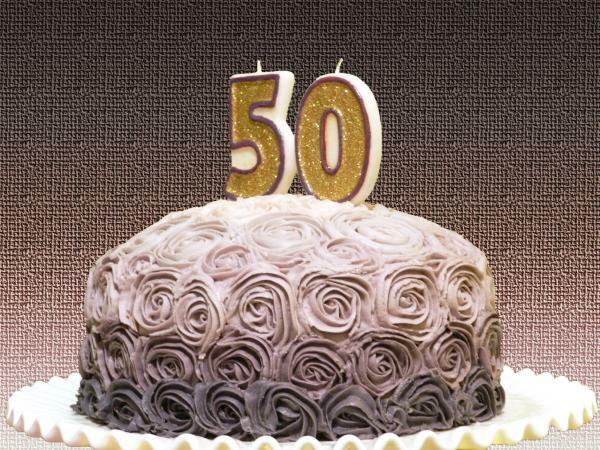 Half a century is not a milestone to allow to slip by, uncelebrated and unnoticed. When planning this party there's no need to limit yourself to the tried and true. There are dozens of ways to make a 50th birthday party one to remember. A great 50th birthday is one that has a theme related to the birthday person's interests or the milestone birthday itself. A festive theme is what will really make or break your party. If the person for whom you are throwing a 50th birthday party has a good sense of humor, you might consider this standard theme as a party idea. The location might be in a graveyard or even a funeral home. Decorations: The decor is black, and features gravestones plus other funereal paraphernalia. Silver and gray are good accent colors for balloons and party ware. Food: If you're going out to eat, a ride in a limo or hearse is a good touch. Otherwise, plan classic funeral fare, such as sandwiches, cold salads and bars. Activities: Play a few classic party games with a deathly twist. For example, the game "Who Am I?" can be played using only famous dead people. The 50th anniversary is the golden anniversary, so why shouldn't the 50th birthday be golden, too? This makes an elegant theme for anyone turning 50. Decorations: Decor should be gold and white, with fancy china and crystal if possible. 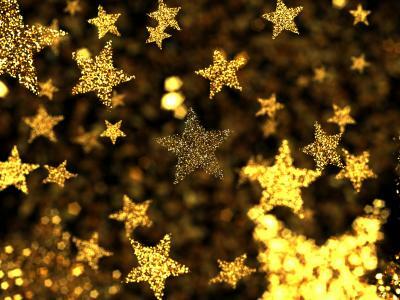 If desired, look for some items with gold sparkle or glitter. Don't forget some elegant dinner party centerpieces in gold vases. Food: Serve an elegant seated meal, such as lamb or steak, with sides like green beans and caprese salad. Complete the party with a tiered cake with gold decorations and yellow punch and champagne to drink. Activities: Play a "golden anniversary" board game or try Gold Mine for a fun board game. Play up the nostalgia, because 50 years is a lot of time to remember. Things change over the years so celebrate the past as your 50th birthday party theme. Decorations: Decor can be pictures of the person's life throughout those 50 years. Look for retro home items at thrift shops to add a little extra ambiance from the past. Food: Community and Junior League cookbooks can be helpful in setting a period-appropriate menu. Church potluck cookbooks typically have traditional meals from years ago, too. Look for classic items like roast beef, plus things like molded gelatin salad with fruit. Activities: Play music that was popular during the person's teens and twenties. A good party game is "Guess What This Is," where a keepsake item is displayed to the guests and they try to guess what the item is and why it is significant to the birthday person. The person must then tell the true story of the item once the guessing is finished. Remember the old television show, with its classic punch line: "Smile! You're on Candid Camera?" This makes an excellent theme for a 50th birthday, and someone who is just turning 50 is old enough to remember the original show. Decorations: Decorate with photography-related paraphernalia. Blow up funny photos of the birthday person in black and white or sepia tones and hang them throughout the party space. Food: Plan a buffet of the birthday person's favorite foods. A camera shaped cake is the perfect dessert for this themed party. Activities: Collect pictures of the birthday person with various expressions on his or her face, and have a contest to see who can come up with the best caption for each one. Place disposable cameras on tables so guests can take plenty of candid photos. Fifty is supposed to be an age of maturity, so go for a very sophisticated and mature type of party. Quiet, classical music, three or four good wines, half a dozen good cheeses, and some fancy crackers are all you need to make this party go well. Decorations: The decorations should be subdued and classic, with linen tablecloths and napkins, and the fancy crystal, china, and silver on the table. Hand out party favors of miniature bottles of wine or liqueur. 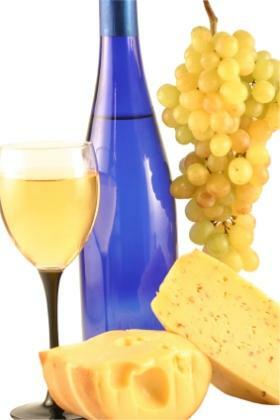 Food: At a wine and cheese tasting you don't need too much else for food and drink. Water should always be on hand, along with sparkling grape juice for those who don't drink. Bread, fruit, and a few appetizers may also be good additions to the party menu. Activities: Party games are not really necessary, but you could include a contest to see who can come up with the most outrageous description of one of the wines or cheeses. A polite roast to the birthday host is also a lovely gesture for a 50th birthday party. Decorations: Decorate the walls with jukeboxes, disco balls, grunge band posters. Make a timeline of historic events, interspersed with important life events from the birthday man/woman's life. Hang up with photos or illustrations around the party room. Food: Make dinner a fondue party, reminiscent of the 1970s. Also have plenty of nostalgic candies available as favors and goodies. Activities: Play board games that were popular in the birthday person's youth. Also play hit songs from the birth year of the 50 year old. Have each decade in a separate area of the room, or move people through your home, with each decade being in a different room. Incorporating different years allows you to really give everyone, including the celebrant, a look back at everything that's happened during his/her lifetime. Skip the usual old-age gags and give your friend or family member a proper roast. Decorations: Set up two head banquet tables with a podium between them. Drape the tables in cloths and skirts, and decorate with silver star confetti and garlands across the front. Put the birthday honoree's photo on the front of the podium. Food: Serve plenty of good party drinks and provide delicious appetizers and desserts for everyone. Activities: Ask several guests to prepare over-the top speeches or tell stories filled with great hilarity, sarcasm and just a hint of "bite." Just make clear that they shouldn't be too mean because this is all in fun, after all. The quest for the fountain of youth is something that many men and women have embarked upon during their lifetimes. This theme is perfect for a 50th birthday party celebrated in the garden during spring or summer. Decorations: Purchase a small child's plastic swimming pool with a "fountain" effect and have it flowing in the center of the garden. Fill the garden with additional flowers, benches and figures until you cannot see beyond the garden edges. Food: Serve finger sandwiches and side salads. Serve punch in a fountain, in keeping with the theme, and have a chocolate fondue fountain available with fresh fruits and baked goods for dipping. Activities: Encourage the birthday honoree and other guests to tell stories from his or her youth. Fifty years of living leads to a lot of memories. 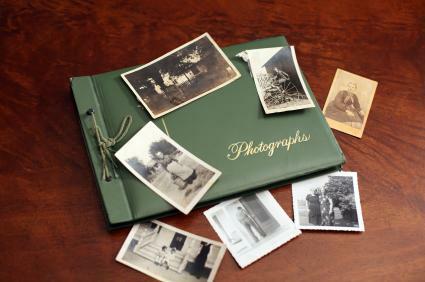 Creating a scrapbook with pictures from the guest of honor's entire life will give him or her the opportunity to reminisce fondly about times gone by. Decorations: Hang blown up photos of the guest of honor around the party area. Food: Find out what the guest of honor's all-time favorite fancy dinner is, and serve it. Hire a caterer if necessary. Activities: Ask guests to contribute photos of the birthday person a couple months a head of time. Either compile the photos in a scrapbook yourself or ask for help with the project from someone who really loves to scrapbook. Display the scrapbook in a prominent place, and make time during the party for the guest of honor to go through the book and share memories about some of the photos. Make sure you note who contributed each photo. Here's a toga party with a twist. Decorations: Rent some Grecian-type columns from a party supply company, and top them with pots of trailing vines. Food: Serve a meal with Greek or Mediterranean-inspired dishes for everyone to enjoy. Activities: Ask guests ahead of time to dress in togas and wear wreaths around their heads and try to look like one of the great philosophers such as Hippocrates, Aristotle, Plato or Socrates. Play a party icebreaker game where you try to guess who everyone is based on quotations they give out. Skip "over-the-hill" and age related themes if the person is sensitive about his or her age. Instead, go with a general adult birthday party theme. If you can't come up with good theme for the party, go with "The Big 5-O" and decorate using party supplies that all have 50s on them in bright colors. A surprise birthday party is a perfect theme for this special age. When it comes to a 50th birthday party, the sky really is the limit. As long as you plan a party that's in line with the birthday person's personality and interests, it's a guarantee that the party will be a success.